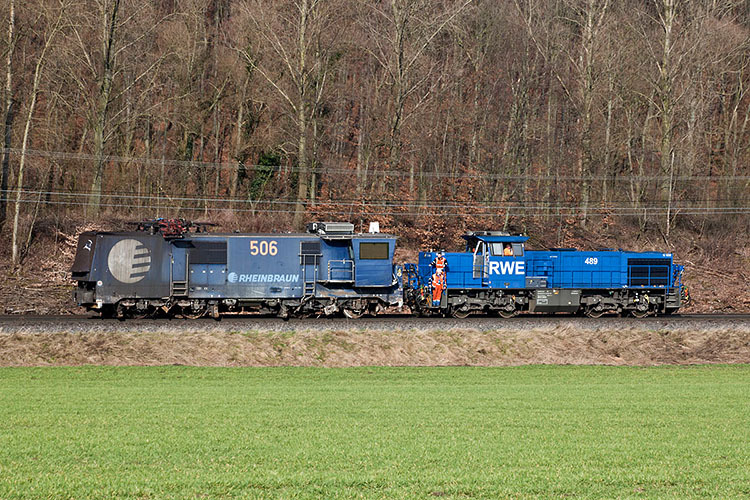 The ten EL 2000 locomotives of RWE Power (formerly known as Rheinbraun) are a special product for services on the normal gauge railway network of this electric power company. RWE has three opencast mines as well as brown coal power stations (*) in the region between Cologne and Aachen. For the transport between the opencast mines and the power stations RWE Power uses conveyers and a large railway network. 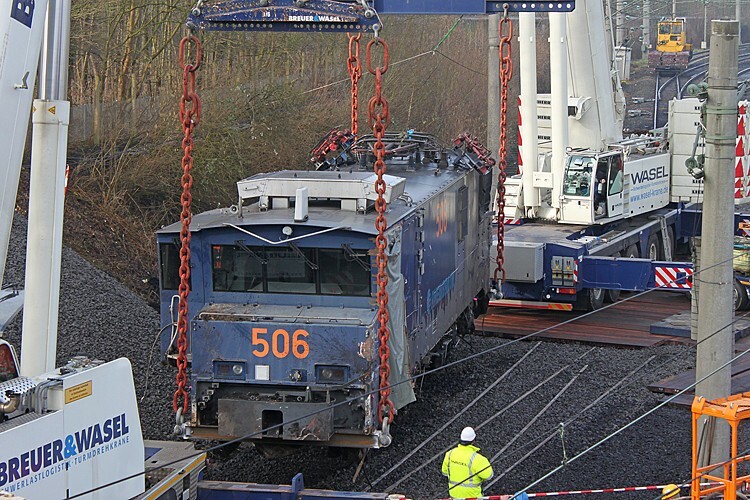 The loading gauge and axle load is bigger than on normal DB railway lines . 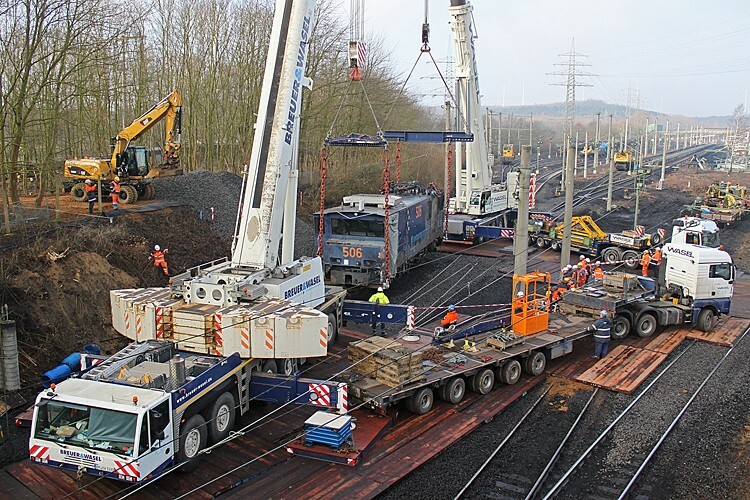 (*) comment: RWE Power also owens power plants in other regions, but the rail network is restricted to the Rheinische Braunkohlerevier between Köln und Aachen. Our thanks goes out to Paul Zimmer, author of this section. 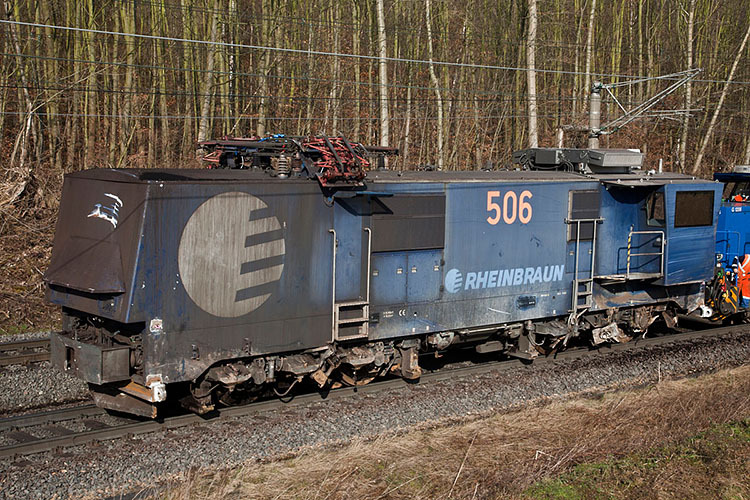 In 1997 the formerly Rheinbraun subscribed a 38 million euro contract for the delivery of ten locomotives including square parts. 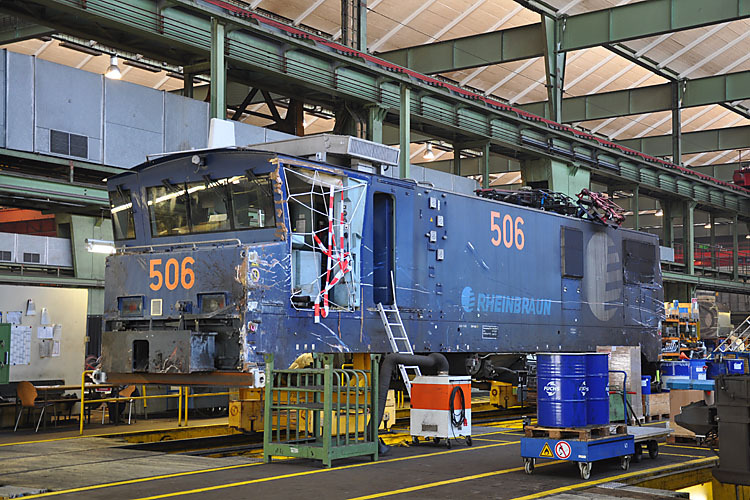 The locomotives were built between 1999 and 2000 in Adtranz factory (now Bombardier) in Kassel (Germany) and should replace a part of the old EL1-locomotives, which were the first locomotives with thyristor technology. 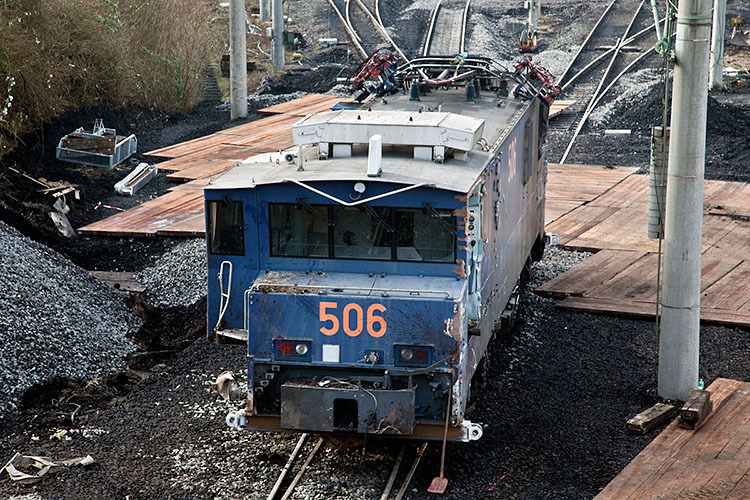 The presentation of the first locomotive was in august of 1999, although 501 made several test for five months before. The design of the locomotives is rationally and characteristically because of the control desks in the side gondolas. The two lateral control desks (use depending on the location of the signals), give the possibility to use the locos in pushed operations. In this case an acoustic signal is used by the trains. Of course there's a control desk in the middle of the cab for driving forward. Adtranz uses modular mechanical, electrical and pneumatic systems and an efficiently diagnostic system for lower maintenance costs. 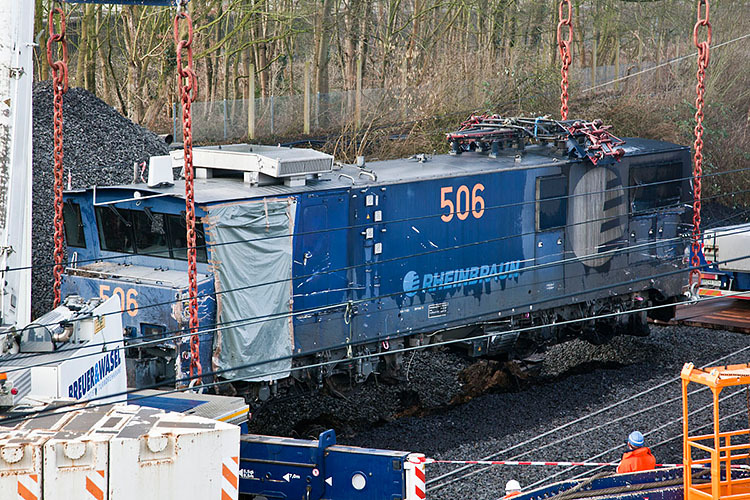 The locomotives have additionally two little pantographs on the sides for use under the loading facility. 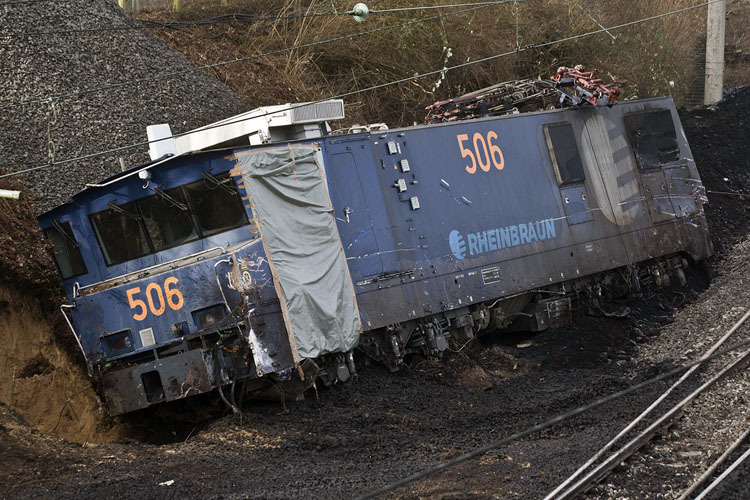 Because of the loading gauge the locomotives were brought from the Adtranz factory without the cab extensions. Thank you for the corrective messages all of you!